Product prices and availability are accurate as of 2019-04-16 22:34:23 EDT and are subject to change. Any price and availability information displayed on http://www.amazon.com/ at the time of purchase will apply to the purchase of this product. 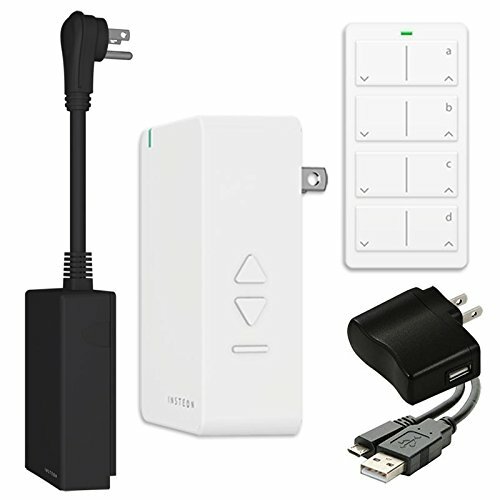 Looking for a simple and easy way to control outdoor and indoor lights but don't want to lock yourself into a system that can't expand? This kit is just for you. No smartphone app to download, no complex pairing process, just plug whatever you want to control into the included modules and then use the wireless remote to control them. 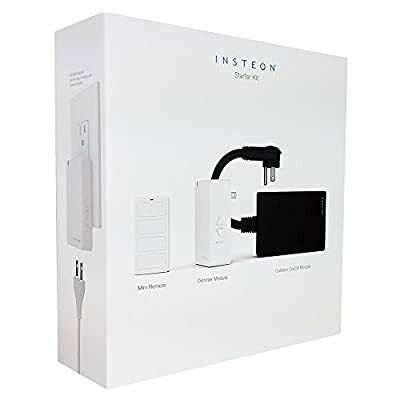 And because this is Insteon, you can add wall switches, outlets, and other plug-in devices whenever you're ready to expand. 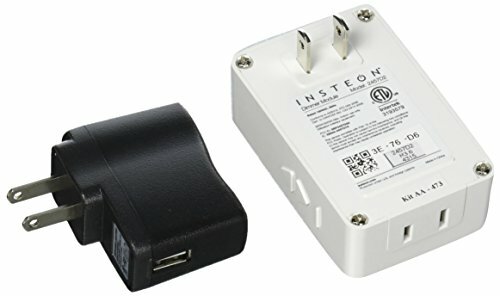 You can even add smartphone control later by adding the Insteon Hub (2245-222). Out of the box you are set to wirelessly control any outdoor plug-in string lights or space heaters (up to 15amps) , a dimmable lamp - all from a handheld mini remote. Also included is a USB cable and power plug for recharging your mini remote.